You'll be the cutest creature around in our furry hoodie. Zip it up and let the shaggy fleece keep you toasty when the temperature drops. 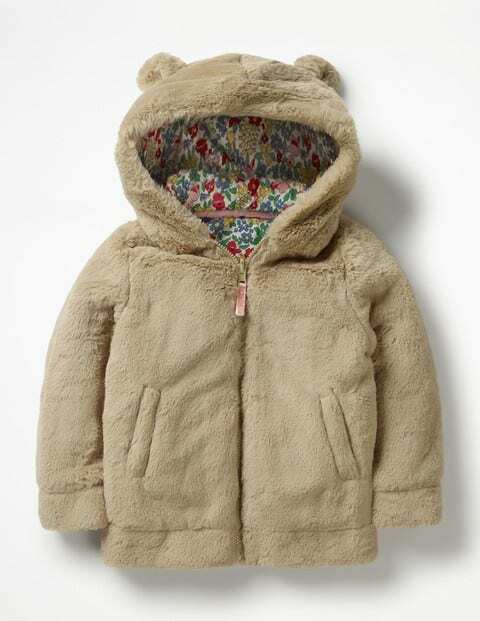 Everyone will still be able to catch a glimpse of the pretty floral lining in the hood and those charming little ears.